YOUNGSTOWN, Ohio (CN) – A Youngstown woman filed a civil rights class action against the mayor of the blighted northeast Ohio town, claiming it discriminates against residents in a historic black neighborhood by not providing working storm sewers. Venicee Howell filed the class-action lawsuit against the city and Mayor John McNally on Friday in Youngstown federal court on behalf of the Sharonline community. She says her community is deprived of storm sewer services that other residents in the city enjoy. The result, Howell says, is that Sharonline’s homes are tainted with mold and mildew. Youngstown does not provide storm sewers there even though the city charges residents for the services through fees and taxes, according to the lawsuit filed by Columbus-based attorney Percy Squire. Howell claims the city is violating Sharonline residents’ rights to equal protection and due process under the U.S. Constitution. Squire told Courthouse News that his client said the sewer problems in Sharonline have existed for close to a century. He said that Howell grew up in the neighborhood and that the water damage had slowly eroded her property to the point that the foundation was ruined. “She can’t let her grandchildren go down in the basement because of the fungus. We’ve worked with the city. We’ve tried to get the city to remediate the problem, and they’ve taken this very hard line,” Squire said in a phone interview on Tuesday. Howell claims that for years, either storm sewers did not exist in Sharonline or did not work properly, leading to a build-up of stormwater at Howell’s home on Bott Street. She has lived in the home she built with her late husband for 47 years but says Youngstown improperly charged her fees for a dual sewer system. “These backups caused extensive damage to the foundation of 2104 Bott Street, and similarly situated houses, caused mold and mildew to accumulate within the residence, caused subsidence of the soil and greatly diminished the value and habitability of 2104 Bott Street,” the 10-page lawsuit states. In a voicemail, Mayor McNally said he was unaware of the lawsuit and referred Courthouse News to the city’s law director, Martin Hume. Hume did not respond to a request for comment on Tuesday. Sharonline extends from the Pennsylvania state line northeast to Hubbard, Ohio, and north of Oak Street to the Liberty Township, according to the lawsuit, and was established after a steady stream of non-union black workers moved from the southern part of the country to replace striking European steelworkers in Youngstown, which is 65 miles southeast of Cleveland. The move to recruit thousands of African-Americans during the Steel Strike of 1919 caused a wave of resentment among whites in the region. Youngstown was part of the Rust Belt in the United States and was known for steel production. But it has been in steady decline since the industry’s demise, and Youngstown is now one of the most impoverished cities in the nation. Youngstown’s leaders and officials segregated the workers into the Sharonline community, an area that at the time was lacking essential amenities including a sewage system, streetlights, sidewalks and paved roads, according to the lawsuit. 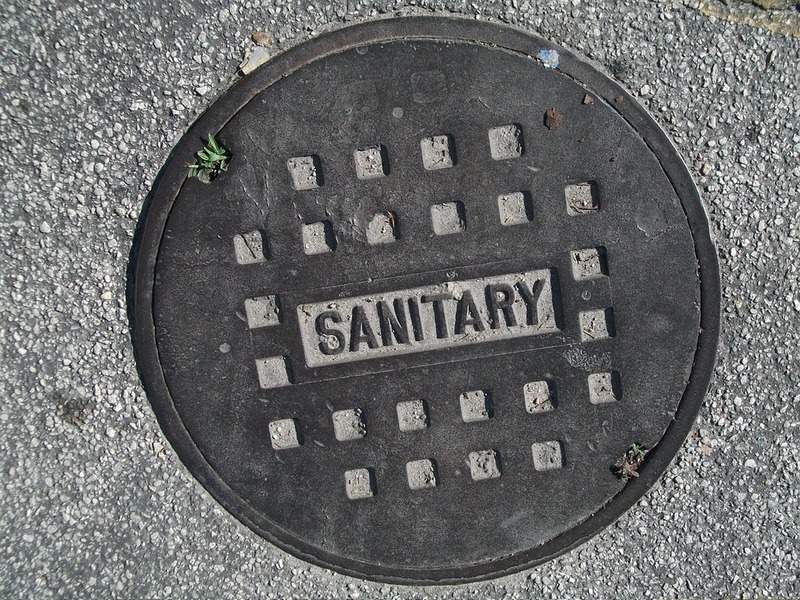 In terms of a functioning sewer system, Howell suggests that not much has changed. “Due to the nature of its establishment Sharonline has been plagued by a long history of overt and intentional racial discrimination. And has received fewer city services,” the complaint states. Four candidates are vying to replace Youngstown Mayor McNally in Tuesday’s election. McNally lost the Democratic primary earlier this year to Jamael Brown. McNally, the city’s 49th mayor, pleaded guilty in February 2016 to four misdemeanors relating to the sale of an office building while he was Mahoning County Commissioner. Alleging equal protection and due process violations and inverse condemnation, Howell seeks at least $75,000 in damages for the putative class of black residents in Youngstown’s Sharonline community. Her attorney, Squire, estimated there are between 5,000 and 6,000 people affected. “No one who knows this community is going to challenge the proposition that’s there’s been an inequitable distribution of services to the Sharonline. The Sharonline has that reputation. Everybody knows it. It’s not something that anyone is seriously going to contest around here,” Squire said.